Home / Travel / Inside train photography – A train journey from Bangkok to Kanchanaburi (Thailand). A photographic train journey from Bangkok to Kanchanaburi (Thailand). I love inside train photography. This is a photo series that I captured during a train ride from Bangkok to Kanchanaburi in Thailand. It takes between 2 and 3 hours, 4 sometimes. I’ve always liked to take photos on trains in Europe, but I’ve really loved it in Southeast Asia. I find the subjects photographed to be more diverse and interesting. Inside train photography gives me the opportunity to keep pursuing my passion for photography while I travel. It enables me to capture interesting candid portraits in real-life situations, which tell stories about people’s lives in different places. I’ve noticed how people tend to behave differently when they are ten thousand miles away from home. Besides, I’ve also become aware of how people socialise more easily when they spend time travelling for pleasure. 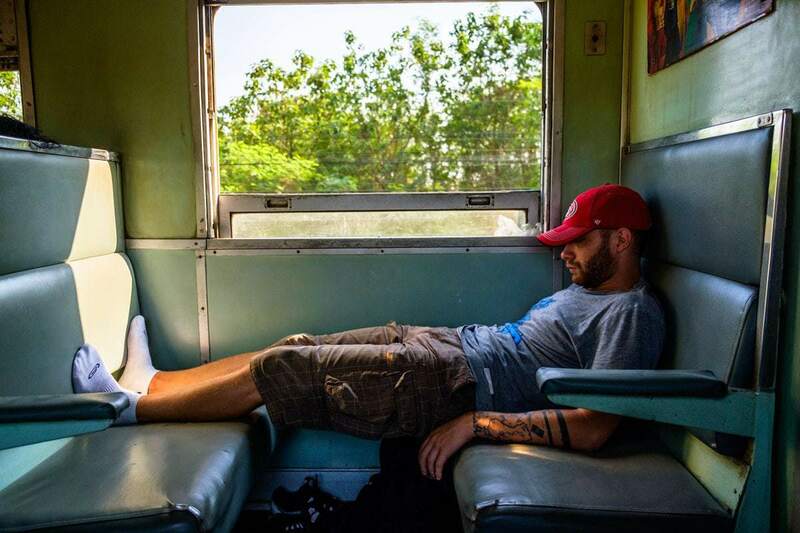 Napping on the Bangkok - Kanchanaburi train, Thailand. Passenger on the Bangkok - Kanchanaburi train, Thailand. Life on the train next to us, the Kanchanaburi - Bangkok, Thailand. Nature seen from the Bangkok - Kanchanaburi train, Thailand. Countryside seen from the Bangkok - Kanchanaburi train, Thailand. Waiting the approaching Kanchanaburi - Bangkok train, Thailand. 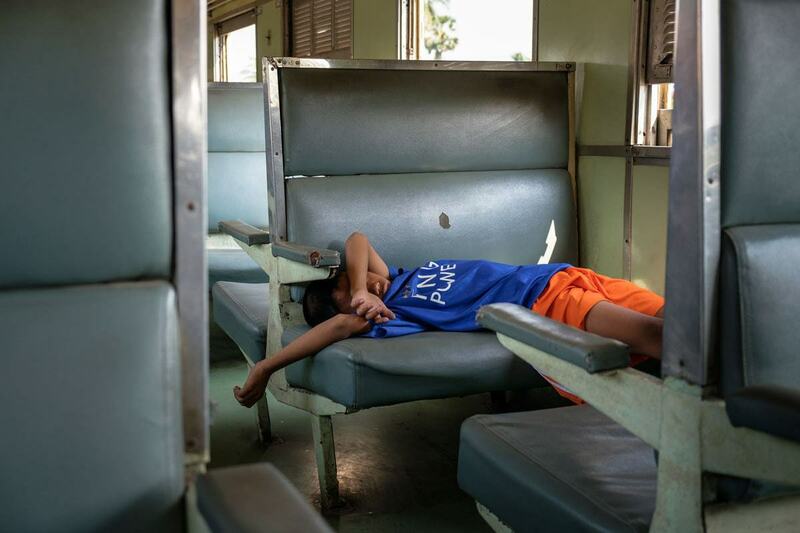 Napping on the Kanchanaburi - Bangkok train, Thailand. Passengers on the Bangkok - Kanchanaburi train, Thailand. Stretching on the Kanchanaburi - Bangkok train, Thailand. A colourful little house in the countryside seen from the Bangkok - Kanchanaburi train, Thailand. Abstract seen from the Bangkok - Kanchanaburi train, Thailand. Passenger takes a look at the great scenario, Thailand. Child by the railroad tracks, Thailand. Mother with child safely crossing the railroad tracks, Thailand. Another train next to us. Thailand. The end of the train, the end of the day. For more photos about Southeast Asia’s lifestyle you may visit my Travel page and also read my articles on my Blog posts page. Subscribe to the newsletter to get the latest blog entries and updates in your inbox. Your email address will not be sold or used for purposes other than subscription for the newsletter.